Edinburgh Palette, a self-funded Scottish Charity based in St Margaret’s House, London Road, has submitted plans for multi-use development comprising creation of studios and workspaces at 19 Stanley Street, Portobello. 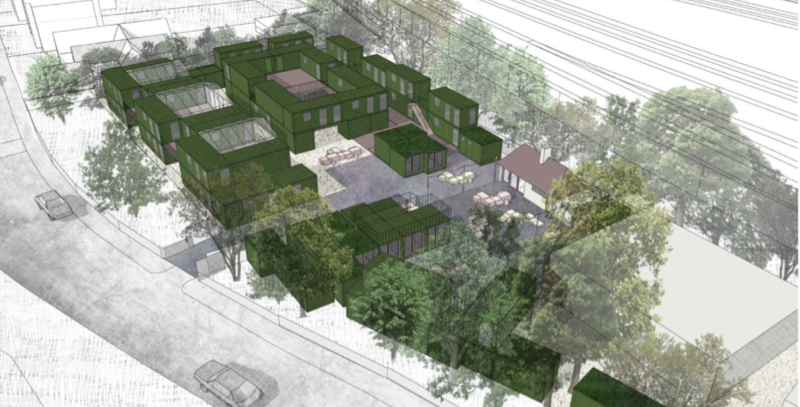 The plans include converted site accommodation units, internal alterations and extension to existing warehouse for use as an assembly space, and construction of timber cabins within woodland area for community group use.. The Design Access Statement says: “The studios are intended to provide affordable workspace accommodation for a variety of creative industries, as well as charitable organisations working in the community – provision that Edinburgh Palette has built expertise in at St Margaret’s house, and where they have strong links to such practitioners and groups seeking accommodation within an integrated managed environment. “Stanley Street studios is ideally placed to support the local economy of freelancers looking for flexible and collaborative ways of working. 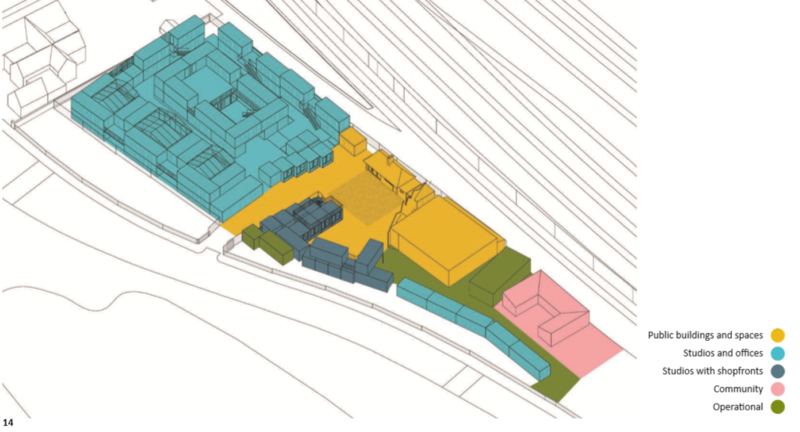 The studios proposal will also allow for the public interface of such practices through the provision of group spaces in between the individual studios, as well as nurturing a sense of community through shared spaces both internally and externally. The proposed conversion of the existing warehouse, existing cafeteria building and open space immediately in front of these will provide for more public interaction with the site for a range of purposes that may emerge as the studios complex evolves.